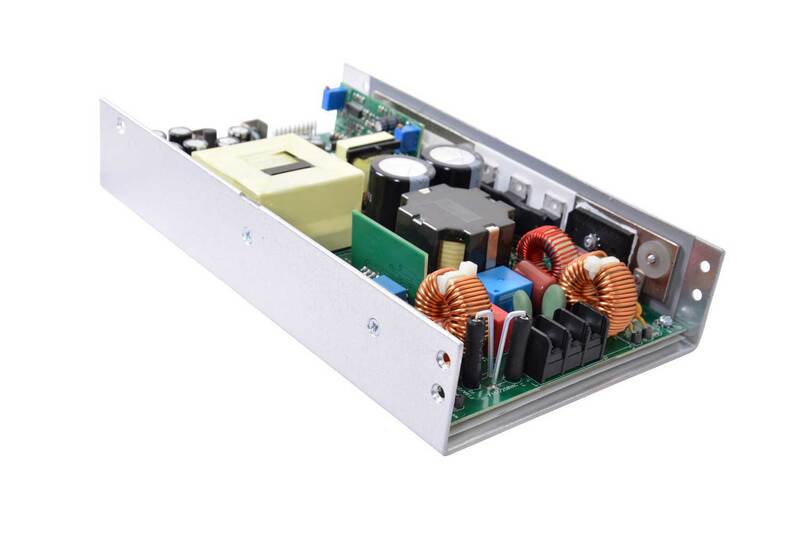 The Versatile Power Series offers versatile ways of powering between 600 and 1000 watts. 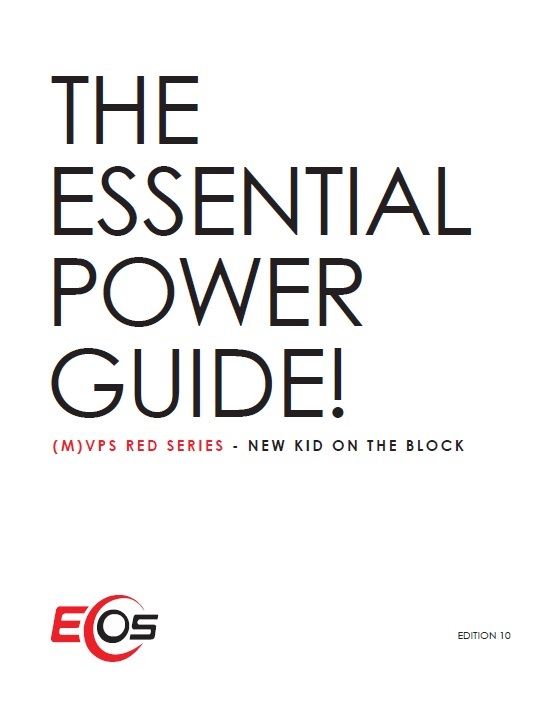 In staying within popular foot prints, the MVPS allows customers to use this series in multiple applications where standardizing on a single reference platform is key for lowering skews and using higher volumes for economical price considerations. 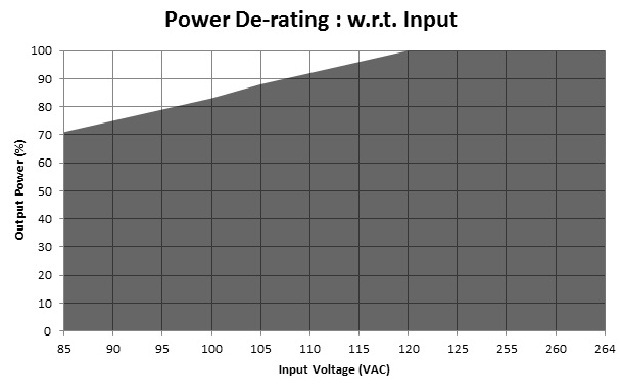 50 % duty cycle, 50/60Hz, recovery time < 5 ms.
Ripple1 2.0 % max for all outputs. Altitude Operating: 16,000 ft.; Nonoperating: 40,000 ft. 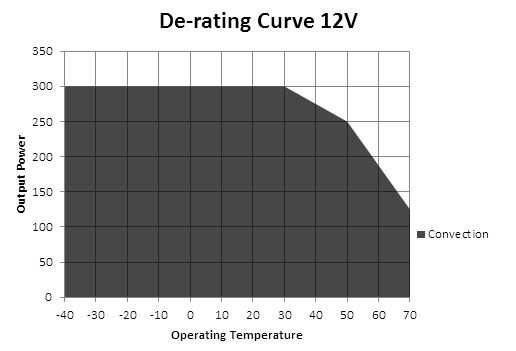 Combined output power of main output, fan supply and standby supply shall not exceed max. power rating. 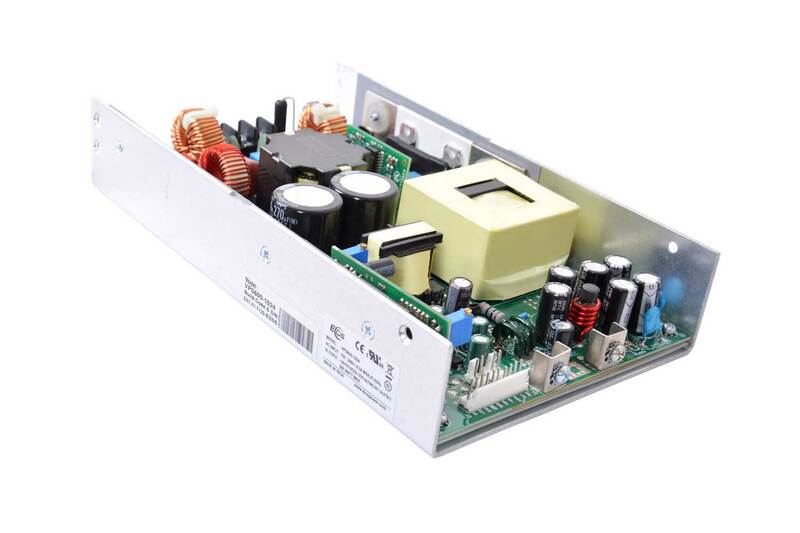 Standby output voltage 5 V/ 1.5A(convection) with tolerance including set point accuracy, line and load regulation is +/-10 %.Ripple and noise is less than 5 %. 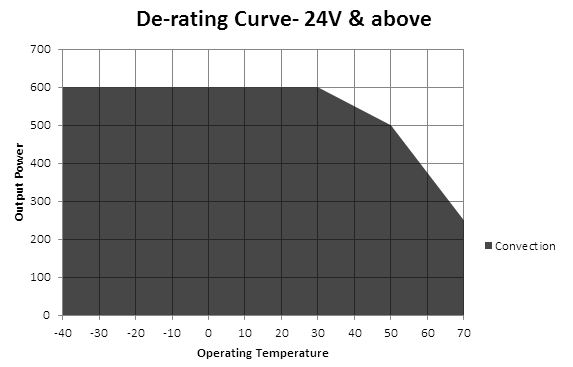 Specifications are for nominal input voltage, 25°C unless otherwise stated. 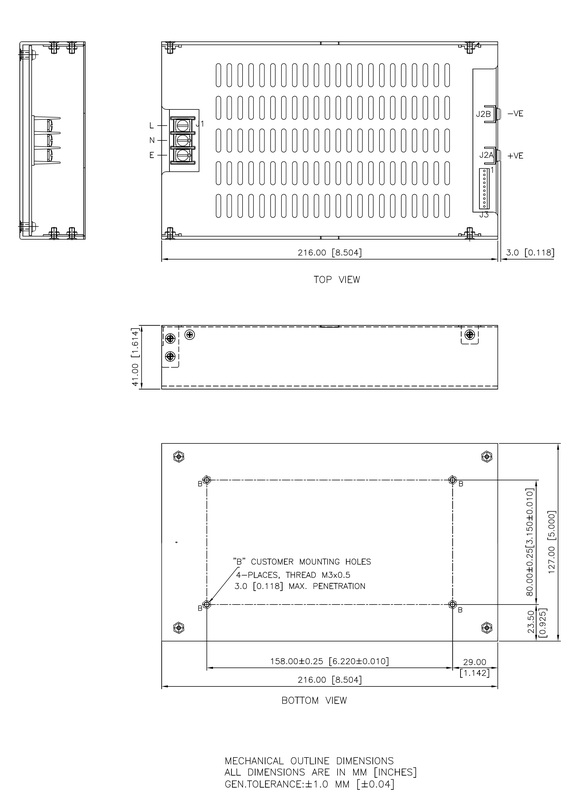 PSU is supplied with J3, Pin-6 and Pin-7 shorted to enable main output without remote on/off feature. 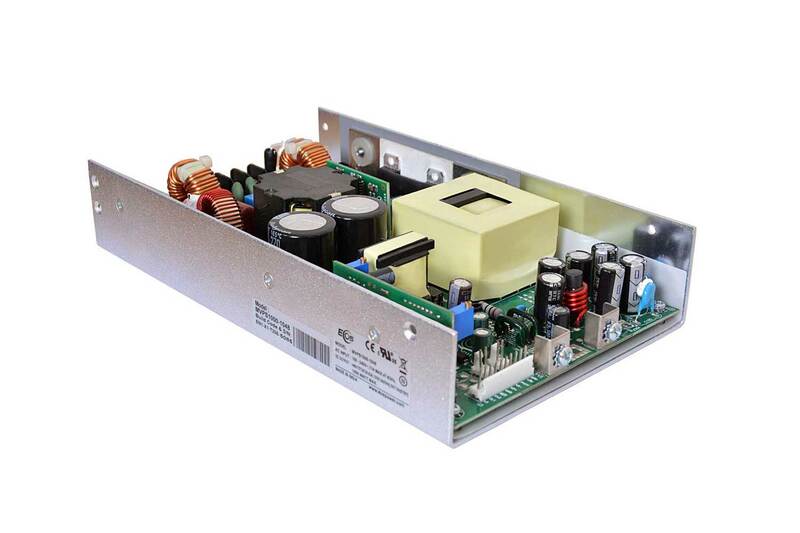 Fan supply output voltage 12V/500ma is +/-30% and ripple less than 10 % to get 12V output min 10% load on main output is required. For Ripple measurement minimum output power requirement is 25 W.
Ripple is peak to peak with 20 MHz bandwidth and 10 μF (Tantalum capacitor) in parallel with a 0.1 μF capacitor at rated line voltage and load ranges. 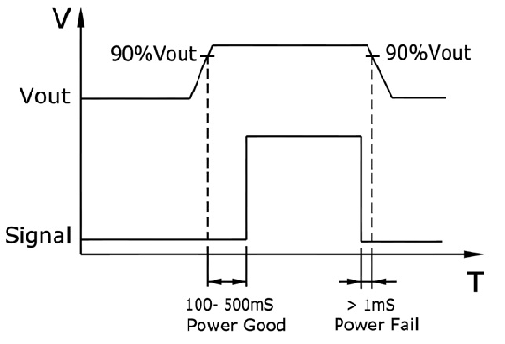 Power Good : Is a TTL signal which goes high after main output reaches 90 % of its set value. Remote on/off Pin 6 & Pin 7 of J3 can be used for Remote on/off. 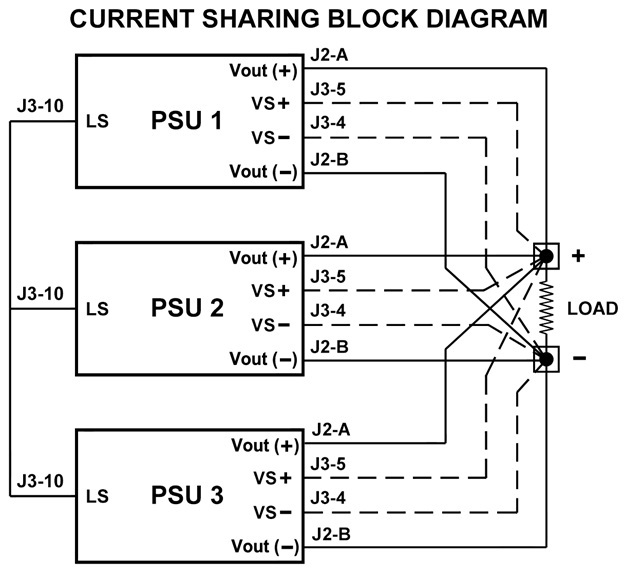 Shorting Pin 6 to Pin 7 enables main output while keeping the Pins open disables main output. wherein one 16 AWG(max) wire can be crimped. Note: One Ring Tongue Terminal with 16 AWG is recommended for current up to 11A only. During the installation and setup of parallel supplies in a system it is important that a single remote sense point be used for all the supplies. The remote sense The remote sense voltage between the supplies must be adjusted to within 1% to ensure the supplies are inside the 1% capture window. If the supplies are not initially adjusted inside the capture window the supplies will not current share satisfactorily. 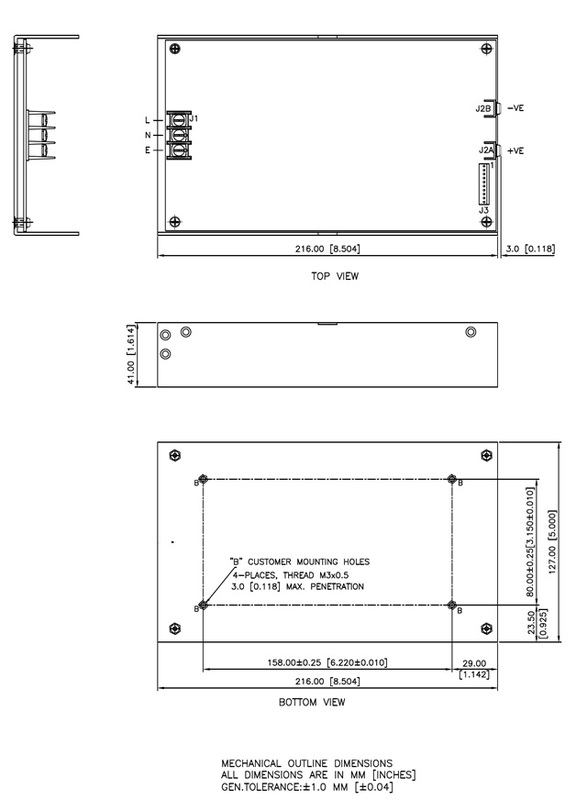 Connect load cables to the outputs of each supply. Connect the remote sense lines to the load in twisted style . (A common remote sense point must be used for all the supplies in parallel). Connect all the “LS” signal(Pin 10) on the J3 connector between the supplies. 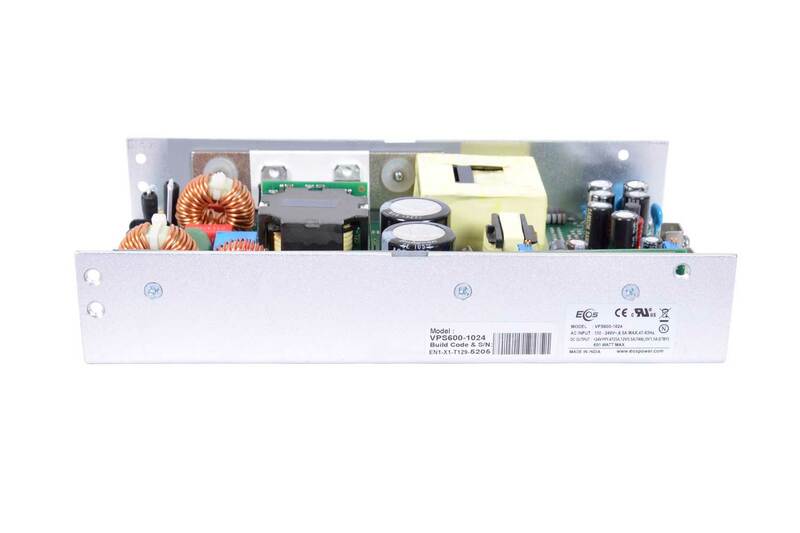 Adjust remote sense voltage of each supply to within 1% of rated output voltage or readjust to required set point. (Adjustment to be done with all other parallel supplies off). Current sharing between the supplies can be verified by monitoring the output current of each supply with a hall effect DC current probe. The supplies should share to within 10% of the total load current. 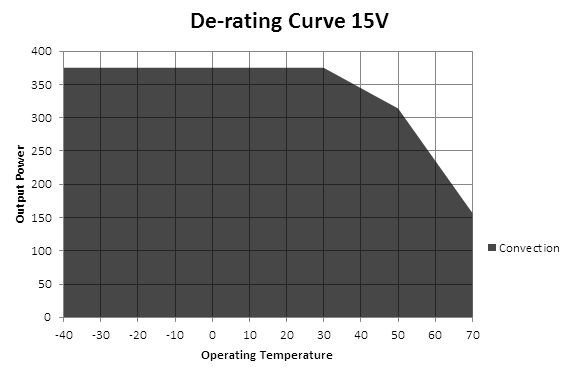 The current share circuit has a capture window voltage of +/- 3% of the rated output voltage. If the output remote sense voltage of one of the supplies is adjusted outside the 3% window the supplies will not current share. Copyrights © 2018 All Rights Reserved by EOS POWER INDIA Pvt. Ltd.